Seriously. I don’t get how or why these companies keep pushing subscription services. Hell it probably makes more sense to rent the vehicle too. But the S60 is now the second vehicle offered in the Care by Volvo “subscription” service after the compact XC40 crossover. I’ve gone over Care by Volvo before. But the pricing for the S60 is CP all day. Here’s what you get for the money. 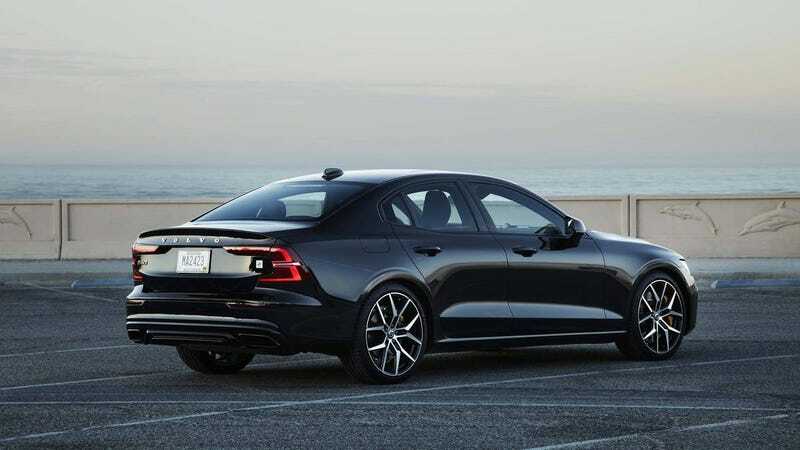 The S60 comes in 3 trim levels: Base Momentum, R-Design and top line Inscription. But with Care, you can choose between Momentum and R-Design. You can subscribe online like you would normally build and price. So you pretty much choose which trim you want, choose your colors and you’re all set. Upgrade to a new Volvo after only 12 months: And only after exactly 12 months. This one is kind of dumb considering that the Care lineup is only 2 vehicles. I don’t see very many people going down to an XC40 from an S60. And unless you’re the type of person that just drives the newer version or a different color of the same model when you trade it, this wouldn’t be very appealing until they add more vehicles to the lineup for Care. Factory Scheduled Maintenance, including wear items: Covers the first three services (10,000 miles, 20,000 miles and 30,000 miles) at no charge. This includes wear coverage replacement wipers, brake pads and rotors, allowing a worry-free subscription by eliminating maintenance expenses. Tire and Wheel Road Hazard Protection: With Care by Volvo, we repair or replace unlimited tires damaged by road hazards, which include debris on the road or road conditions such as potholes. The wheel is covered when it cannot be balanced or will not hold air. Excess Wear and Use Protection at vehicle return: With Care by Volvo, when your vehicle is returned we will waive up to $1,000 of excess wear and use. Coverage includes large dents and dings to body panels, windshield damage, tire replacement, scratched, gouged wheels and worn interior. First months payment due at signing. Excludes taxes, title and registration fees of course. $500 refundable deposit: It really is refundable. With this being a depreciating asset, of course they run your credit. You get the deposit back if you decide not to go through with getting a vehicle through Care after you have made the reservation, if you don’t get approved by credit or if Liberty Mutual deems you not worthy enough for insurance. The lease makes more sense, even if you have the larger down payment. Right now Volvo has a lease offer of $349/month for 36 months with $3,649 due at signing. They also have a $1,000 loyalty bonus as well. I even went so far as to get a quote from Liberty Mutual outside of the Care subscription. With the lease payment and the insurance quote I received, it still came out cheaper than Care:$526.08/per month. “We’ll you’re forgetting the inclusion of the maintenance and roadside assistance!” Seriously how much more can maintenance add on if you’re only driving 12-15 thousand miles a year? Unless the car is a piece of crap or you’re driving hard, that’s just oil changes. So there you have it. If you want to drive the S60 by unconventional means, you’re going to have to shell out German like monthly payments for a car that I doubt is cross shopped that often with any of the other Luxury automakers. It would be a no from me.